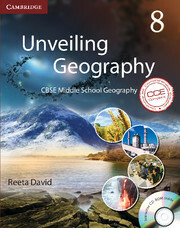 Unveiling Geography is a series in Geography for classes 6 to 8. Unveiling Geography is a series in Geography for classes 6 to 8. It conforms to the curriculum specifications as delineated in the National Curriculum Framework (NCF 2005) prepared by NCERT. The exercises in this series are based on the Continuous and Comprehensive Evaluation (CCE) scheme introduced by the Central Board of Secondary Education. The series is also suitable for schools affiliated to state boards of education which are following the National Curriculum Framework. Let’s Recapitulate summarises the important points covered. CCE based activities monitor the pace of learning and provide for continuous feedback. 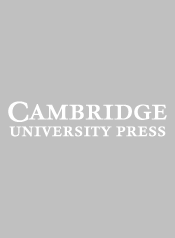 In-text Formative Assessment Tasks gauge the learner’s comprehension of the topics. Summative Assessment Tasks takes an innovative graded approach by focusing on information, skills and strategies needed to pass the Class X board exam. Life Skills are value education content integrated within the chapters, as per the latest CBSE guidelines, to help promote overall well-being and competence in young learners.